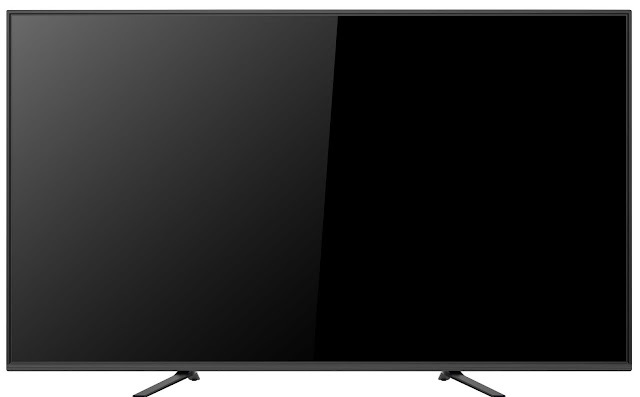 How To Choose Channel In Videocon d2h As Per TRAI – In this today’s guide on Fun2Ind.com, we will surely be talking about How To Choose Channel In Videocon d2h As Per TRAI? Besides, we have also planned to bless you with step by step guide on this latest and trending tech topic related to D2H in millions of homes in India. Thus, after reading this complete guide, you will be able to create your own pack after TRAI New Rules 2019. But, first of all, you will have to take a look at the overview of TRAI new rules for DTH and Cable Operators. Also, you are requested to not to skip any step. Following which, there are chances that you will not be able to understand the next steps better.How To Choose Channel In Videocon d2h As Per TRAI? These new rules will make your cable television bill lower. Here’s what you need to keep in mind. 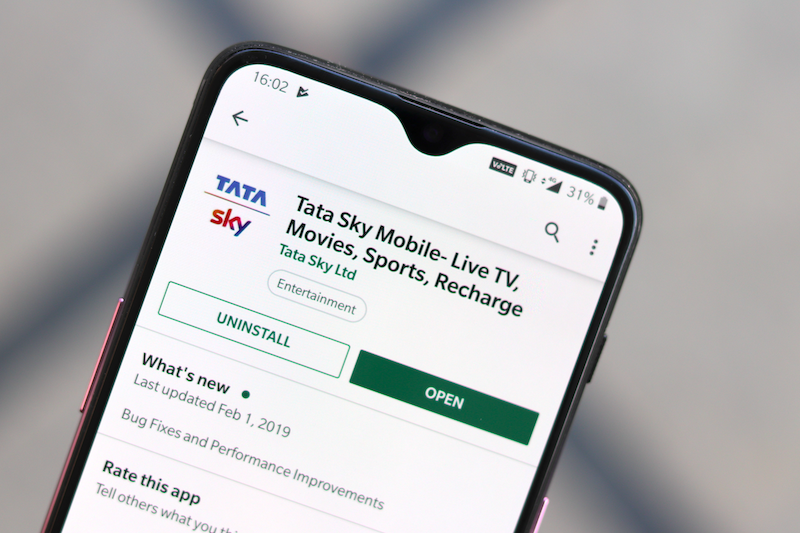 First, rules apply to DTH companies like your Airtel, Tata Sky, Dish TV etc. and your local cable operator as well. Now keep in mind that the deadline is January 31st 2019. So you better pick your packs quickly. Under the new rules, there will be a subscription of new packs plans and bouquet offerings. Companies have to ensure that there is no disruption of service till 31st January 2019. TRAI has said that there will be no blackout of any signal or feed before this deadline. The base subscription price is now rupees 130 per month. Channel prices are capped at rupees 19 being the maximum. With the new rules, customers now only have to pay for the channels which they watched. Many DTH operators like Airtel, Dish TV etc. have already put out the base prices of each channel. Further, TRAI’s website also has the pricing for each channel provided by the broadcaster as well. Now, customers have to pay a base fee of Indian national rupees 130/-. Which will have a hundred channels in it. And, these will include the free-to-air channels as well, like those from Doordarshan. Subscribers who opt for more than a hundred channels can choose additional channels in each slab of 25 channels. Add, rupees 20 first lap. Keep in mind that taxes will also be added to this. Broadcasters have also announced bouquet packs and price of each channel. Users can add these to the rupees 130 base pack. Once again, taxes means the bill will actually be higher. TRAI says the idea with the new framework is that the consumers will be able to choose or pay for channels. Or, pay for channels of their choice only on a card basis. 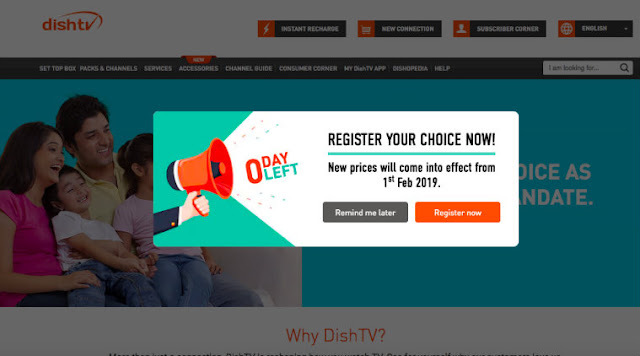 Overall, it tries new rules, you will be paying rupees 150, plus minimum for the tier of hundred channels. For any special channels, you will have to pay extra and again this is per month pricing. TRAI has already declared that the DTH companies, local cable operators, will have to make the process easier for customers. And, the customers have to be made aware of all the plans that are being offered. Users can go to the website of the provider and see the option or call up a helpline and ask for details. The new framework is supposed to help users, make an informed choice when it comes to cable television. Remember that recharges can be done anywhere i.e. either on various recharging apps like PhonePay, Paytm, Google Pay (Tez) etc. or on the official website. Now, just keep in mind that www.d2h.com is the official website to solve various purposes of D2H Videocon apart from just a monthly, quarterly, half yearly or annual recharges. Keeping in mind the latest rules and regulations of TRAI (Telecom Regulatory Authority of India), in the footer section of videocon official website, various statements have been released as given below. The figure of 650 channels and services is the total number of channels and services available on the platform. The channels / services / features / multiple audio feeds / packages / prices can be added or deleted or modified at the sole discretion of the company without any prior notice. The company shall not be responsible or liable for disconnection / removal / unavailability of any channel/s on its platform if the channel/s is/are not made available from the Broadcaster’s end. In this, it has been clearly mentioned that the Standard Charges for Single Channel: Rs. 12.7 per month for SD and Rs. 21.2 per month of HD are there. There is also one very special offer running i.e. 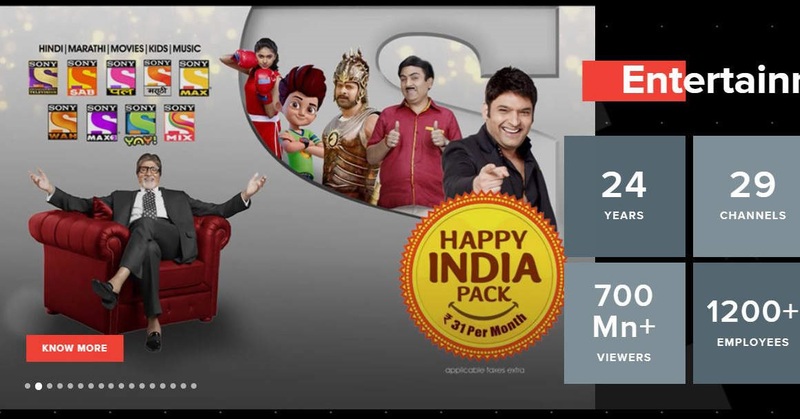 Activate 3 or more channels and Enjoy Special Price of Rs. 8.5+ per month per channel for SD (Standard Definition) and Rs. 17+ per month per channel for HD Channels. Apart from these details in the consumer corner section, users can also learn about the d2h recommended combos, Basic Service Tiers (FTA), a-la-carte channels pay & FTA, Broadcaster Bouquets, Create your own pack, CPE Schemes, Manual of Practice, Network Capacity Fee (NCF), Contact Details, Disconnection and Restoration, Complaint Redressal Process, Subscription Process of a-la-carte, Subscriber Corner, Procedure for new connection, Relocation of connection, Availability of customer care programming service with its LCN, Consumer Application Form and Add-ons. Recharges can be done separately for all three types of Set Top Box that is – 1. Digital Set Top Box, 2. Digital HD Set Top Box, 3. HD RF Set Top Box. ATB team always prefers you to recharge from the official website only to check the latest offers of recharging from the Videocon D2h Set-top box. Apart from that, the main problem arises when you are a new user. No problem in that anyways, only the time of being a new user is added. Being a new user, first of all, you will have to register yourself on the Customer Registration Page. For that, you will have to enter your details such as Customer ID, RTN (Registered Telephone number), Email Address, Password and then confirm the password. Hopefully, with the help of the above-given guide on Fun2Ind.com, your general queries like – How to remove unwanted channels from Videocon D2H, Videocon D2h Channel selection, online channel activation, adding and removing channels, packages channel list with price, recharge plans with channel list etc. are answered. But, still, if you are having any question regarding How To Choose Channel In Videocon d2h As Per TRAI? do let us know in the comment box below.